This is a Korean in America. How are you doing in the cold weather? One of the comments on my blog asked what is up with Koreans complaining about the historical inaccuracy in Korean dramas. This class of Kdrama 101 is about this topic. I loved history enough to think seriously about majoring in history years ago. But the lack of cash making potential deterred me from choosing that path. I am Korean and we either go for the money or prestige. And I do not really care for the latter. So, people sometimes ask me about historical accuracy in Historical Korean dramas or "사극". They ask whether it bothers me that they are not always accurate in how they portray historical facts. My answer is no! To be blunt, the Korean dramas set in the past that were made in the last, let's say, 10 years are generally terribly inaccurate in their portrayal of the past. So, there are some rather loud mumbling about this in certain sections of the Korean audience. They claim that Korean dramas have the social responsibility to represent history as accurately as possible. For a program made for entertainment purposes, isn't artistic license the priority? 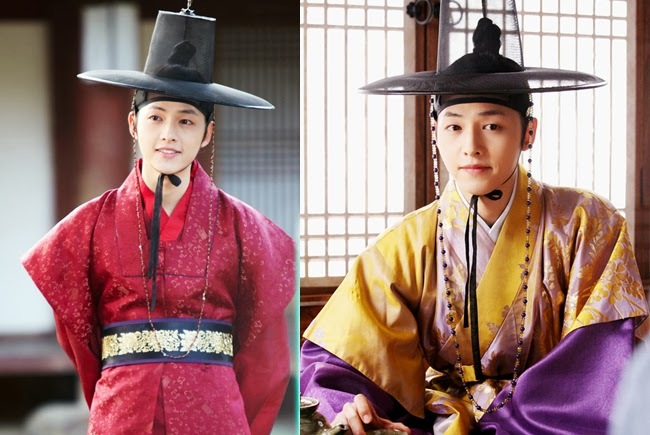 Isn't it fine if the drama does not make historical accuracy a selling point? This discussion is nothing new. It has been going on since there was enough historical knowledgeable accumulated to argue over. What is unique about the discussion around Koreans dramas is its intensity, which can be equated to the passion of "One direction" fan girls, compared to the discussion set in the US. For Americans, dramas set in the past can be categorized into two general types: a historical event based drama and a period piece drama. For the latter, there is much leeway given in regard to historical accuracy as it is seen to be pure entertainment. Even for the former, if the historical narrative established by the society is maintained, Americans tend to be forgiving of some fudging around on the part of the writers. For Koreans, there is not this implied consensus regarding the divide between a historical event based drama and a period piece drama. What is more odd is that people tend to react more violently when what to non-Koreans is obviously a period piece drama has inaccurate elements. There are several factors that contribute to this difference. However a lot of this difference is based upon the level of maturity/stability of historical narratives within each society. A historical narrative is basically a concise story about not only a sequence of events that happened but also what it means to the members of the society. In regard to historical narratives, America has a leg up on Korea. In general, there is a general consensus about the stories that make up American history. WWII was this great crusade. Go greatest generation! For Koreans, it is a rather different story no pun intended. Other than the Japanese was bad for their occupation of Korea that ended about 70 years ago, we, Koreans, seem to not be able to come to a consensus about much in regard to history. Why are Koreans like this? Well the answer lies in history of course. Let's summarize the past 100 years of Korean history. Korea was basically a medieval society ruled by a monarchy supported by a bureaucratic upper class until the turn of the 20th century. After traumatically being introduced to the modern world, Korea was occupied by Japan. When we think medieval country, we think of castles and kings. However, what is more important is that it is a collection of highly fragmented and isolated societies loosely coupled together by the upper classes. There was no nation in the modern sense. Every region and group had their own needs and wants without much communication between each other. As a result, it was difficult to find a consensus even within the upper classes. 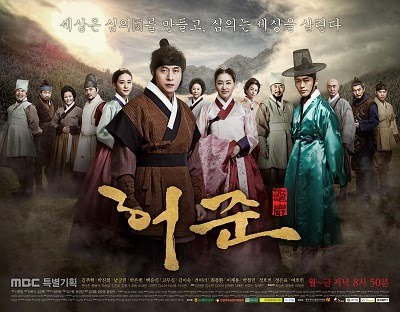 In Historical Korean dramas or "사극", this is portrayed as the political infighting within the upper classes rather than a social structural issue. This does not change that much during the Japanese occupation other than the fact that most Koreans, well not all, hated the Japanese. Once liberated, the social fragment still existed albeit increasingly less based on regional differences. There was the stuff about traditional values versus modern values. There was the remnant of the class conflict. There was the whole bucket load of stuff regarding the military dictatorships. Also, there was the whole ideology struggle that still goes on to this day. Now more than one decade into 21th century, Korea is less fragmented although it is one of the few countries on the planet in which communism is still a viable political ideology. This Korea can be seen in Korean drama although in a glamorized distorted form. So what does this have to do with the whole discussion about historical Korean dramas? Well it's left to individual interpretations! As a result, historical events are open to be used as ammo for political arguments and ideology confrontations. What does this mean for Korean dramas? It means that so called inaccurate historical elements in Korean drama could be viewed as manipulation by the writers to advance a specific viewpoint rather than being just for entertainment purposes. And to be frank, there are a lot of Historical Korean dramas or "사극" that do this. In fact, it is a tradition! During the military dictatorship, Historical Korean dramas or "사극" were frequently used to criticize the government since they had the excuse that they are just showing historical events. For this purpose, these Korean dramas tend to stick closely to the recorded history while crafting the presentation to enhance one's viewpoints. For a Korean viewer, especially those who are over 30 years old, Historical Korean dramas or "사극" are viewed with suspicion/preconceptions albeit on a subconscious level. They were essentially train to be. These are the viewers who have a difficulty with differentiating between a historical event based drama and a period piece drama. To them anything set in the past should be treated more seriously. So, they are more critical about pure period piece drama. In addition to the sense of being manipulated, there is a sense of insecurity regarding history in Korea that influences the Korean viewer. For Americans, there is a confidence regarding the development of history as an academic subject and the distribution of history throughout the population. So, mainstream entertainment mediums are not viewed to be the vanguard of accurate historical dissemination. In Korea, we lack this confidence as history as a subject is rather ridiculously weak. In the realm of education, history is not an important subject and is taught as a sequence of factoids but void of interpretation. This is the remnant of the past dictatorship's policies since history could be used to attack the government. As an academic subject, there are good research being done but they do not really get disseminated to the population. In the literature area, the history books that are out focus on factoids and rather scandalous side stories. They avoid trying to develop an overall historical narrative. Even for a historical buff like me, I read far fewer books on Korean history compared to western history which focuses on interpretation and meaning. Thus, we, Koreans, tend to put more emphasis mainstream media channels to disseminate the so called accurate history. The discussion regarding how history is portrayed in entertainment mediums will always be a hot discussion. 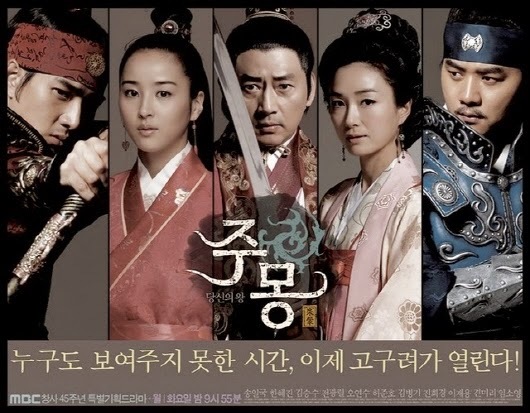 In Korea, this discussion is closely tied to our own history and the history of Korean dramas. Because of our past, we lack of mature/stable of historical narratives and these cause controversies in how this weakness is exploited by creators in Korean dramas. We are also insecure about the population’s relationship with history. So, some of us can get touchy when a Korean drama hits a sore spot. 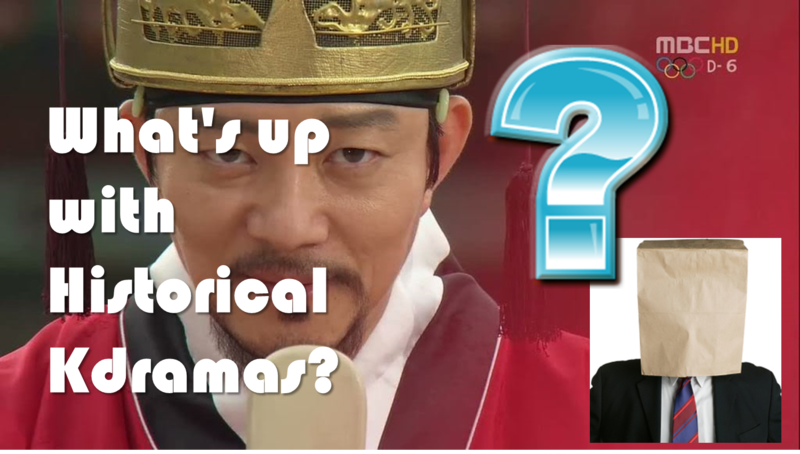 This was Class 4 of #Kdrama 101 : What's up with Historical Kdramas? Class 1 : What is K-drama? Class 2 : Who are Korean dramas for? Class 3 : Acting and the lack of love for individuals in Korean drama.